(FNM) La minera brasilera Vale S.A. y un consorcio liderado por ICBC Financial Leasing, firma 100% perteneciente a Banco Industrial y Comercial de China, han concluido la compraventa de cuatro megabuques de transporte de minerales de 400.000 toneladas de porte bruto, también conocidos como “Valemax”, que la minera poseía y operaba. La transacción totalizó la suma de USD423 millones, que fueron recibidos por Vale el miércoles, contra entrega de los barcos a sus nuevos propietarios chinos. China has lifted its three-year ban that had shut out Brazilian miner Vale SA’s giant vessels and will now allow 400,000-deadweight tonne ships to dock at its ports. The National Development and Reform Commission (NDRC) said that four ports in the country including Qingdao, Dalian, Tangshan Caofeidian and Ningbo will be allowed to receive the carriers once they comply with the technical standards, reported Reuters. 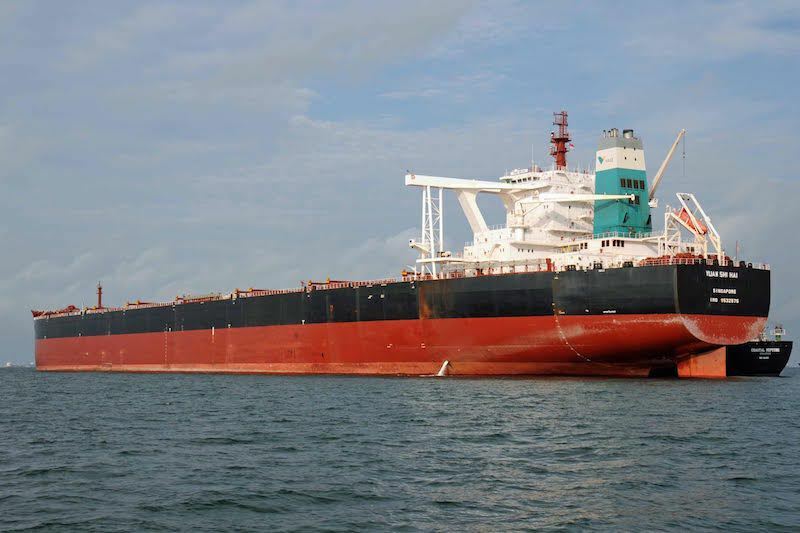 Vale’s Valexmax mega-ships had been banned in Beijing in early 2012 due to safety concerns. The ban had halted Vale’s expansion strategy in China. These ships were specifically constructed to bring down the transportation costs of shipping iron ore to the country. With global glut in iron ore prices, the decision to allow Valemaxes to take cargoes directly to China and reduce costs by $4-6 a tonne in the process, is seen as a positive move for the company. China has issued ship design guidelines in February that will recognise ships of 400,000 dwt. Ports that are interested in receiving the containers will be required to apply for permission if they meet the guidelines. Splash 24/7 reported that a Valemax that previously belonged to a Brazilian firm was anchored at Qingdao’s Dongjiakou port this week. Image: Beijing had banned Valexmax mega-ships due to safety concerns. Photo: courtesy of Vichaya Kiatying-Angsulee/freedigitalphotos.net.